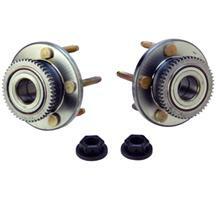 Replace those warped 2005-2009 Mustang brake rotors with new replacements from Late Model Restoration. 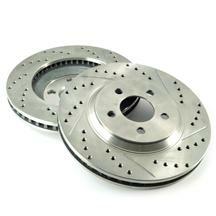 If you have vibrations when you apply your brakes, chances are your rotors might be warped. 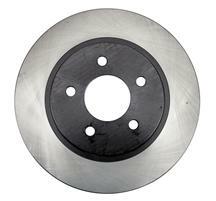 Having your rotors turned or serviced might not solve the problem. 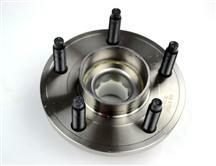 Fix it right the first time with new replacement rotors, hub assemblies, spindle nuts, and dust caps. 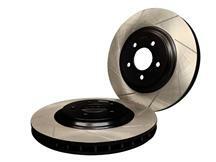 Add performance and stopping power with drilled and slotted rotors. 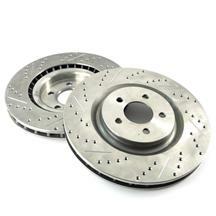 These rotors dissipate heat faster and easier reducing brake fade and decreasing stopping distances. 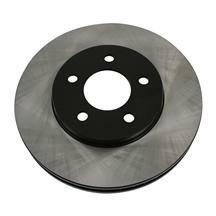 These rotors fit 2005, 2006, 2007, 2008, and 2009 Mustangs GTs and V6s. 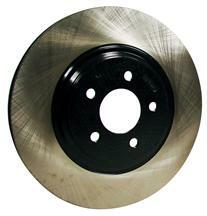 Warped 2005-2009 Mustang rotors are easily noticed by vibrations during braking. 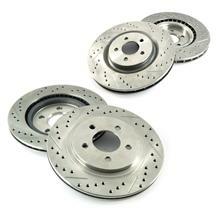 Pick up a set of replacement or performance brake rotors from Latemodel Restoration and get your car stopping smoothly again. 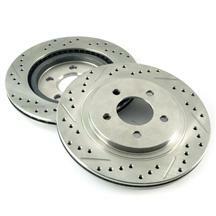 Choose from stock style, slotted, or drilled and slotted rotors to suit your braking needs.